Lodge Brothers Funeral Directors in Englefield Green can endeavour to provide whatever their families would desire for their loved ones’ funeral. So when funeral arranger Jackie Kjos was asked to find a vintage hearse for a local family recently, she was willing and able to oblige. 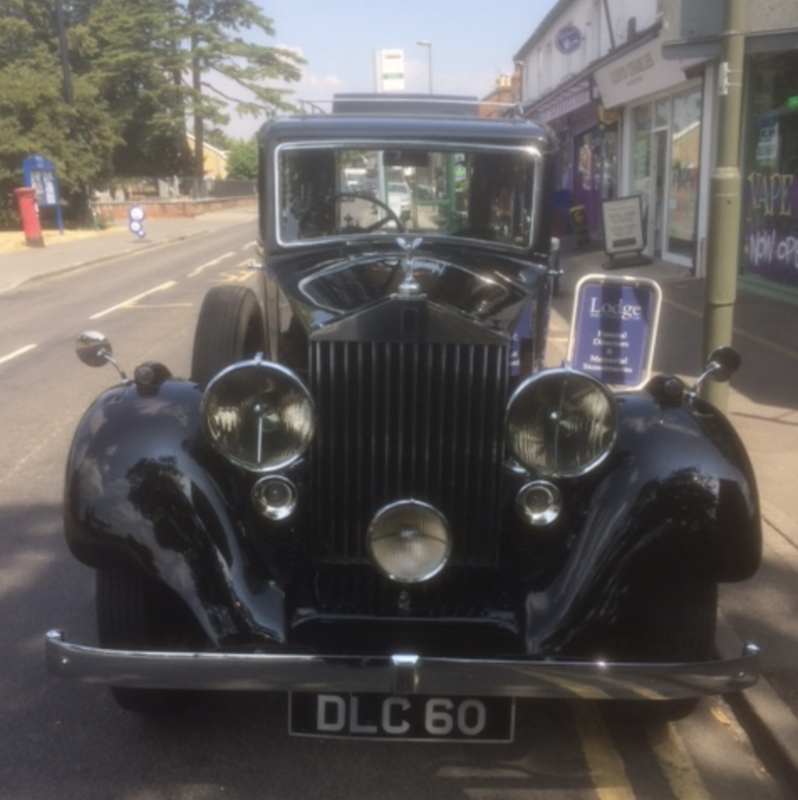 A few phone calls later, and Lodge Brothers sourced a 1936 Rolls Royce to take this beloved gentleman to his final place of rest. The family were delighted as their brother was taken through the streets in a head-turning cortege, and around a part of Windsor Great Park too, before a church service and a burial in the local cemetery. Richard Leachman, District Manager, who conducted the funeral said, “how special it was to be able to give such a memorable funeral for this family”.